Garden on the Rocks, Please! When it comes to flashy garden features like ponds, gazebos and waterfalls, “low maintenance” isn’t the term that springs to mind. So some local gardeners are starting to experiment with crevice gardens—a new type of easy-to-maintain garden centerpiece. 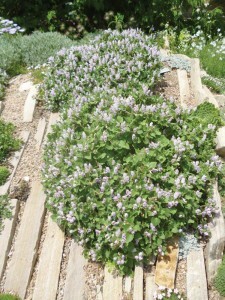 “Crevice gardens are simply a place for alpine, desert and especially cliff-dwelling plants to live,” explains Kenton Seth, owner of Paintbrush Gardens in Grand Junction (www.paintbrushgardens.com) and a leading crevice–garden designer. Think of a cracked concrete sidewalk. Ever notice that weeds springing up in the cracks seem to grow as well, or better, than the plants in your garden? Well, for certain types of xeric plants, cracks in concrete surfaces create a natural drainage system that they prefer. 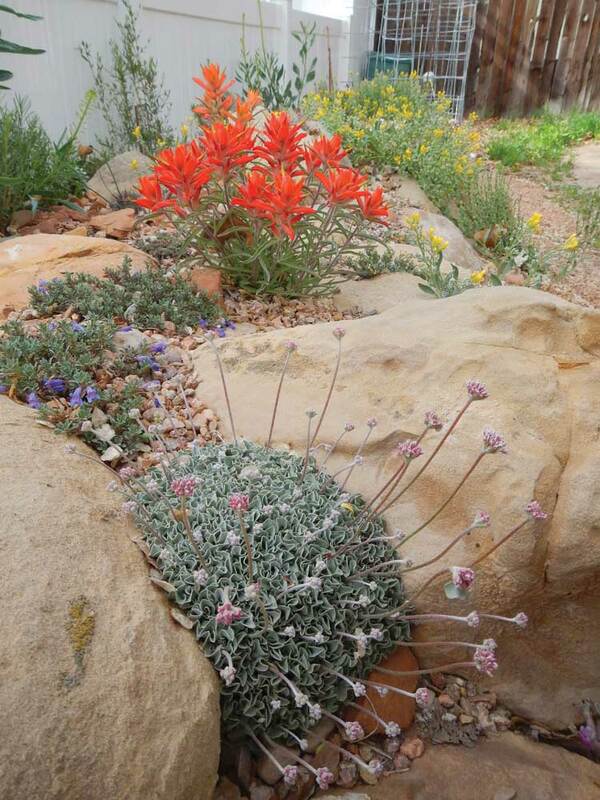 Kenton Seth’s crevice garden nurtures native plants like paintbrush and buffalograss. Photo by Eve Reshetnik Brawner. Crevice gardens mimic the “cracks” in natural mountain rock formations. These formations “create slopes and crevices to grow plants that require optimal drainage,” says Eve Reshetnik Brawner, co-owner of Harlequin’s Gardens (www.harlequinsgardens.com) in north Boulder. Put an extremely light growing medium of sand and gravel, or sand and expanded shale, into the crevices and then place your plants in them. The crevices “give you the opportunity to showcase little treasures like small cacti and alpine plants that otherwise get lost or grown over” in a traditional garden. The concept, refined in England and the Czech Republic, recently started to gain momentum in America. Luckily for Coloradans, Denver Botanic Gardens has one of the world’s foremost crevice garden displays. 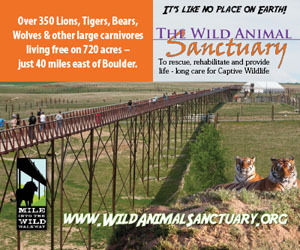 Others are located in Montrose, Steamboat Springs and Vail, and one is planned for Durango. 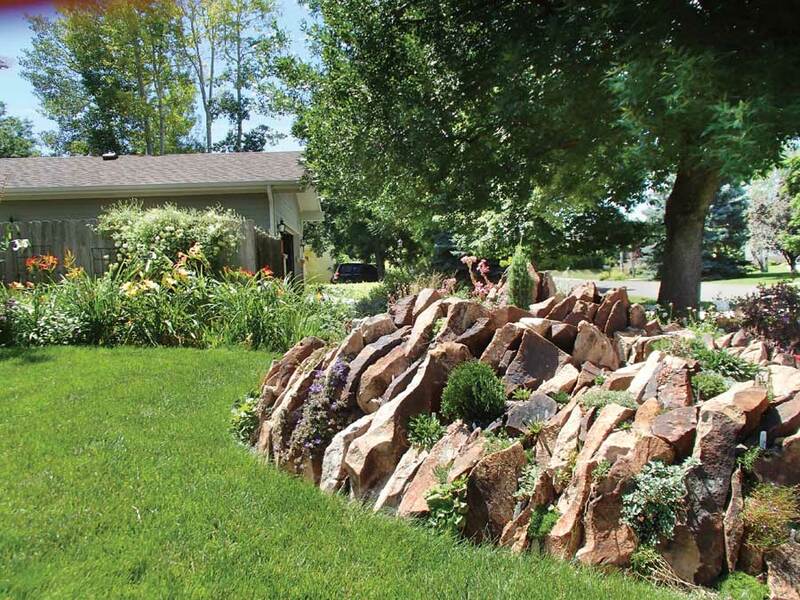 Brawner built her crevice garden on a sloping edge of her Longmont property, carefully placing both stones and plants. She hired a garden helper to move the rocks while she directed and chose different types of sandstone to add a range of color in the rocks. She recommends varying the proximity of the stones to create more planting flexibility. Also, plan carefully. Once you move a heavy rock into place, you won’t want to move it again. 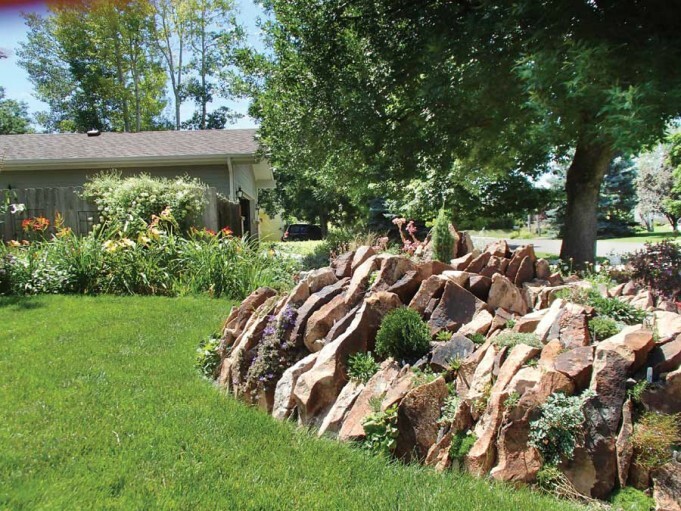 To implement a large-scale crevice garden, you’ll likely want to work with a landscaper who can design a unique garden that fits your space. 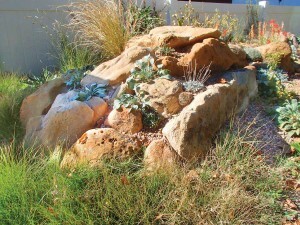 Yes, crevice gardens are low-maintenance, but that doesn’t mean they’re easy to design or build. 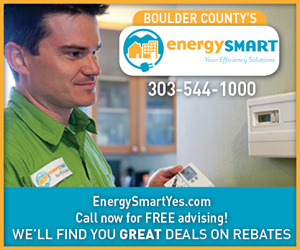 Crevice gardens are also expensive to install. “They’re stone-heavy and labor-intensive, so they’re for people who are serious about it,” Seth says. However, he believes a modest miniature version “as small as two stones close to one another” can work as an experimental crevice garden, or in a transitional area of an established garden. 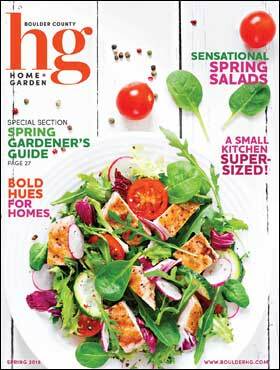 He suggests gardeners take a “test drive” by using a trough or similar container to form a mini crevice garden. Start by arranging rocks into lines inside the container (longer rocks make easy-to-work-with crevices) and line the container with a sand-gravel mix. Then arrange plants according to sun exposure (bare-root planting is recommended) and water sparingly. The fun of a crevice garden is growing more unusual plants and enjoying the sculptural quality of the rocks. The showy gems that take root in your garden are sure to delight and amaze you! When placing plants, keep in mind the direction your garden faces. Because Eve Reshetnik Brawner’s garden faces south–southwest, she planted mostly cacti, some fall-blooming autumn crocus, Lebanon stone cress, and a few odd Chilean and Central Asian plants. 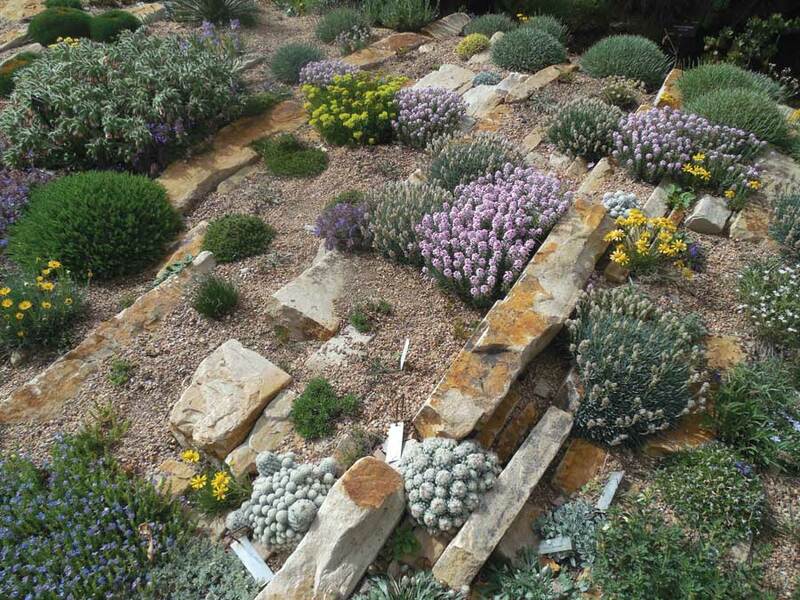 Native plants of steppe regions like Patagonia, Central Asia, highland South Africa and the American Southwest generally thrive in crevice gardens. Photo by Eve Reshetnik Brawner. “If your garden faces north or east, there are lots of smaller native and alpine plants that would work,” Brawner says. 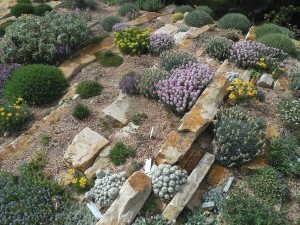 Delicate flowering plants like bitterroot, alpine primroses, native creeping phlox and gentians are good choices for more shaded gardens, as are small showy succulents like ‘Little Pickles’ ice plant. In warmer, high-sun-exposure areas, try desert plants, like the native Easter daisy and shrubs like small daphne and native manzanita.